It is a trend among the millennials to opt for sustainable vehicles. That is why most of the popular car manufacturing firms are coming up with green cars. As it is not a new trend anymore, not only do these cars operate on electricity, they are fuel efficient as well. Now, the only minus point they have is their cost. The prices would definitely come down once more and more people start buying these cars. Even now, since electricity is more dependable than oil or gas, buying an electric car could be a long term investment. In case you are interested in buying one, here are some of the best neighborhood electric cars. Under US laws Neighborhood Electric Vehicles (NEV) are a class of vehicles that are battery powered, have a top speed of 30 mph and a gross vehicle weight not exceeding 3000 lbs. These are four-wheeled vehicles that are allowed to ply on streets that have a speed limit of 35 to 40 mph. Devoid of certain safety features such as airbags and with speed limitations, these vehicles are not allowed on highways and freeways. Being an all-electric vehicle NEVs are more or less zero-emission vehicles and serve as a transport and delivery vehicle within establishments, and also as a leisure vehicle within communities. 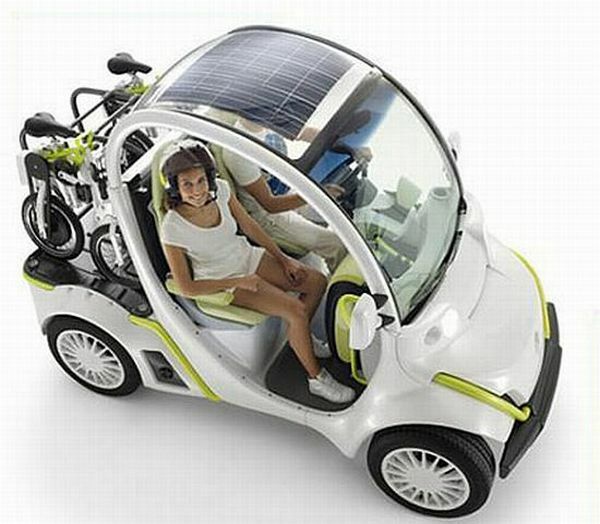 We list here 5 best neighborhood electric vehicles available. Global Electric Motorcar or GEM, a neighborhood electric vehicle manufacturer, offers a special edition package with its GEM e2, GEM e4 and GEM e6 lineup. What is striking about this zero-emission electric vehicle is that even though it is a limited utility and mobility vehicle yet it does so in style, adding glitz to its interior as well exterior in this special edition package. This is one NEV that has a deluxe steering wheel with tilt steering, chrome headlight bezels, polished aluminum wheels, carpeted floor mats, chrome front and rear bumpers, luxurious two-toned seats and a host of other accessories. GEM special edition NEV is not only highlighted by its homely and rider-friendly design but also by its Glacier Blue fascia. 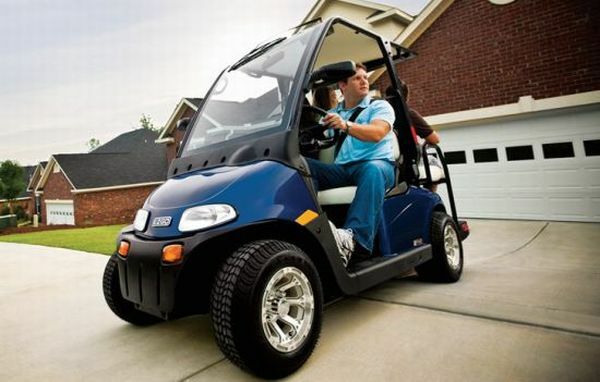 E-Z-Go, the golf car manufacturer intends to add more purpose to its golf car credentials by coming out with a street legal model, the 2Five EV, which means it would have a top speed of 30 mph and would be allowed to ply on 35 mph speed limit streets. This NEV will be powered by a 48 Volt AC motor with an on-board charger. The 2Five EV also has a meter that shows the strength of the batteries and how much power is left in them. Available in two and four seater variants, the 2Five EV is priced at $8,300 and $9,000 respectively. Complete with recharging outlets for mobile phones and other devices, the 2 Five EV has hydraulic disc brakes in case its top speed of 30 mph is too fast for folks. The Romet 4E is a NEV classed vehicle that can easily fill the void between bikes and cars. A prototype from Romet Motors, a Polish automobile manufacturer, the 4E is powered by a 4 kW DC motor. With a top speed of 28 mph, 4E falls under the speed criteria set for NEVs. With two prototype neighborhood electric vehicle will run on power supplied by either lead acid or lithium-ion battery pack with an operating range exceeding 62 miles. 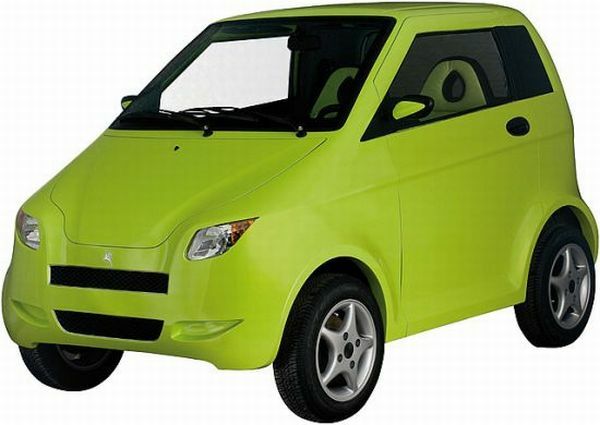 Excluding the weight of the batteries, the 4E weighs just 769 lbs, and this lightweight EV, which is available at a price ranging between $8370 and $9675, will be one tough green Polish contender in the NEV market. 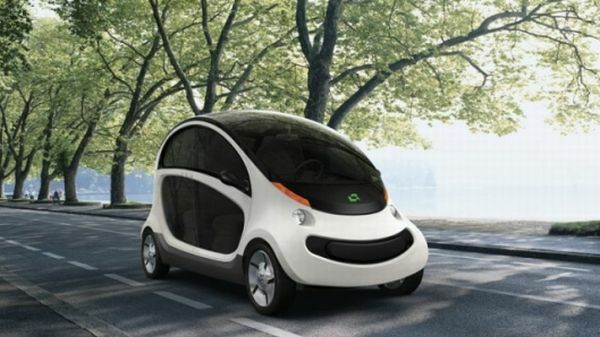 A Chrysler NEV with high aspirations, the aptly named Peapod Eco-mobility NEV is adorned with a wide smiling fascia that promises to do away all carbon footprint worries. Unattractively named suicide doors allow easy access into this car and once inside, the Peapod will surprise everyone with its spaciousness topped off by the sunroof. An all-electric car, the Peapod has a top speed of 25 miles per hour in keeping with speed regulations set for a neighborhood electric vehicle. The uniqueness of this car is challenged by its operating range of 30 miles, a vulnerable figure in this regulated yet competitive NEV niche. Estimated to be priced around $12,000 the Peapod Eco-mobility NEV promises to be an environment friendly mobility solution with aspirations towards a future dominated by EVs and short commutes. Some hard facts first; the Marta UV is a concept NEV that won’t be available for sale. Second, this is a modified GEM, and third, with a top speed capability of 37 mph, this will be one illegal NEV if it fires all engines! Hard facts aside, the Marta UV utilizes lithium-ion batteries which would run a 10 hp electric motor. This engine has the capability to push the top speed of the Marta to 37 mph, 12 mph more than the original GEM, with an operating range of 105 kilometers. The roof of the Marta UV has photovoltaic solar panels which add an additional 5 km to the operating range of the NEV. All these enhancements are results of radical changes to not only the engine and technical aspects of the GEM but also to the design in order to incorporate the solar panels. 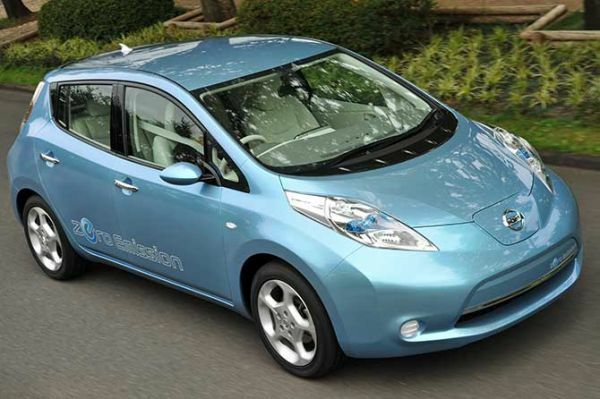 Nissan leaf already has the title of World Car of the Year under its name. This electric car is utilizes grid electricity from lithium-ion batteries. Leaf is a compact car that allows 5 people with limited cargo space, it is easy to drive and it touches a top speed of 90 mph. You can drive only 100 to 120 miles when the batteries are full which is enough for most of the people in the country. However, the same might not suitable for long distances. Though it’s expensive, it has a good mileage of up to 99 mpg. It accepts electricity from a 110-volt, a 240-volt or a 440-volt plug. It scores 10 in green rating, 9.5 in safety and 7.6 in overall performance. It comes with a tech-exotic concept. It has the title of North American Car of the Year under its name. Chevrolet volt is particularly famous for its powertrain, which is a unique feature. It comes with an electric motor that drives the car for first 40 to 60 miles. After that, the batteries empty out and the car will switches its mode to gasoline. Now, the engine acts as a generator and provides more electric power for the motor to run for 300 miles. As most Americans won’t drive more than 60 miles in a day, it’s the most efficient car with a mileage tag of 93 mpg equivalent. 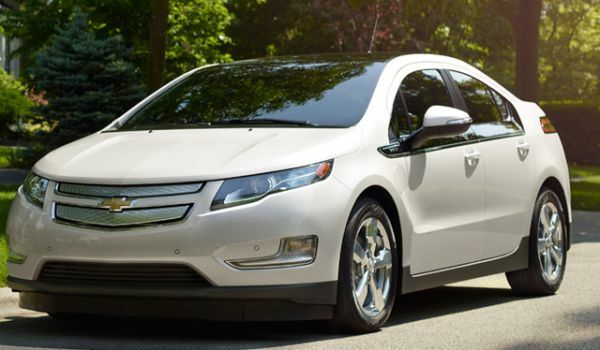 Volt is fun to drive with ample power, sporty handling and good space. But it comes with a high price tag. It scores 8/10 in overall performance, 9.5 out of 10 in safety and full marks in green rating. Coda is Southern California based automotive company which started selling electric cars in recent years. It is one of the safe and affordable cars with green technology. The car comes with more space, it is one of the added advantage of this car. Most of the electric cars are not spacious. 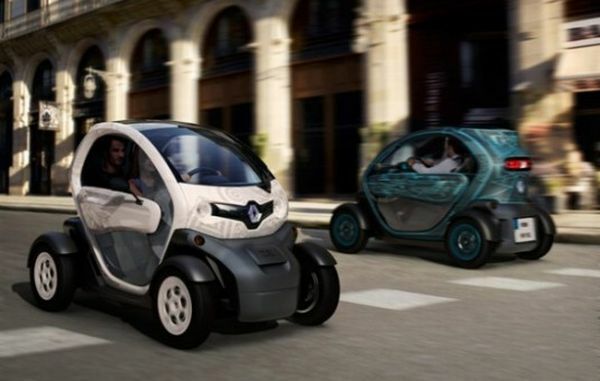 Its top speed is 85 mph and it takes 6 h to charge and it will run up to 150 miles. It comes with electronic stability control (ESC) with traction control, 3 point seat-belts, ABS, battery management system with safest battery chemistry. It gets 8/10 in overall performance. 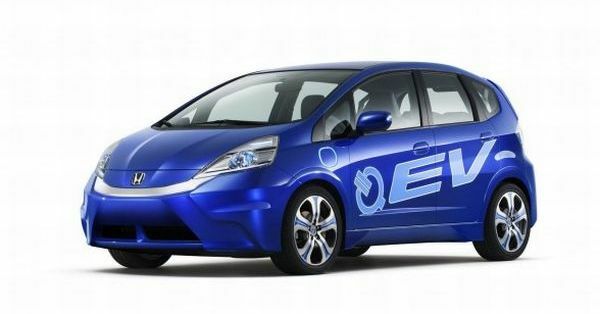 This is the Honda’s first fully electric car to be out in japan and US in 2012. It is spacious car, which has three driving modes named as Econ, Normal and Sport. Econ is the most energy efficient with a driving range of 100 miles per charge. If you want to drive fast, you can choose Sport mode. This will give a top speed of 95 mph but the driving range will be low. Batteries will take 12 hours to charge in 120 volt supply and 6 hours for 240 volt. It comes with a smart phone app, so you can know the charge level at any time. It is an ultra-compact car with all the fundamentals one would want in a car. 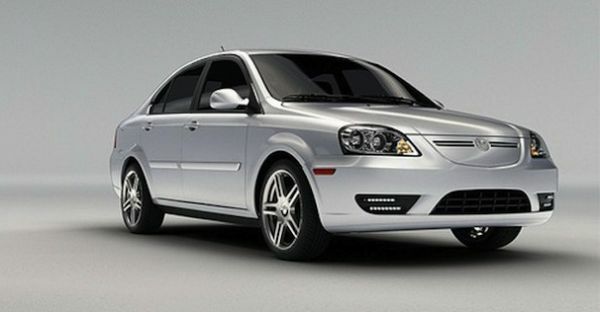 Moreover, it has two seats, which makes it ideal for traveling within the city. Driving it feels like driving a scooter. But it saves 15% of energy when compared to a scooter. As it is small and compact, it comes with all safety measures. It requires 4 hours to charge and runs for 62 miles. As it is too compact, it is easy to drive in traffic. Moreover, it is also easy to park as it demands less space. It comes in two versions. Infographic: Aren’t Cars of the Future Already Here?